Suspended ceilings are wonderful for hiding unsightly utilities or beyond-repair ceilings, and luckily, they're easy to install. These are the the things you need to buy and the things you need to do when installing a suspended ceiling. 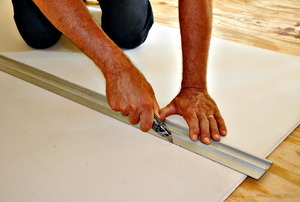 Follow this advice when installing your suspended ceiling. This section explains how to install the grid of a suspended ceiling system. Here is how to attach eye hooks for you suspended ceiling. 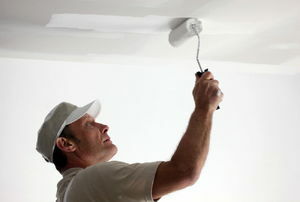 Read these pros and cons if you are consider a drop ceiling for your home or office. 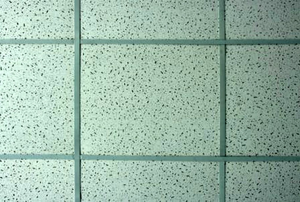 Whether you're looking for better heat insulation or a new look, drop ceiling tiles might be the answer. 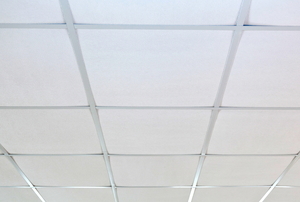 Follow these steps to paint your suspended ceiling tiles to freshen up the room. After this, your suspended ceiling will be done! 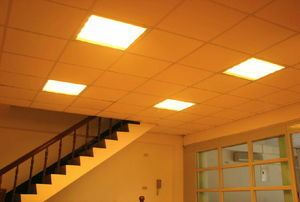 Read this brief information on false ceilings. 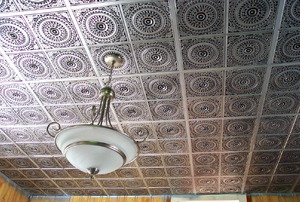 Read this article or information on what a tray ceiling can do for your home. 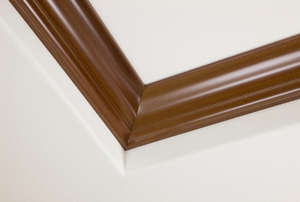 Follow these detailed step-by-step instructions to plan your ceiling installation. 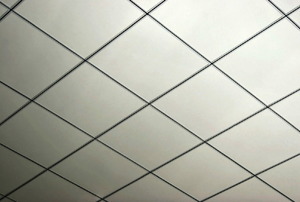 Follow these steps to update your drop ceiling tiles. 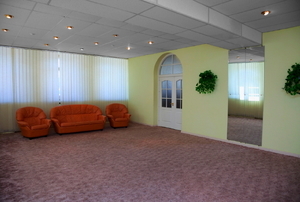 Consider these benefits and drawbacks when deciding between a suspended ceiling and drywall. Replacing suspended ceiling tiles will be as easy as installing them when you follow these steps. Suspended (drop) ceilings are an inexpensive and practical way to install a new ceiling in your home. Follow these steps to install one on your own. You have a very small margin of error when installing a suspended ceiling. 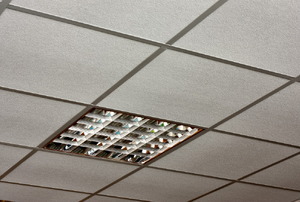 Although it can take a lot of time and energy, removing drop ceiling tiles is simple. Follow these safety steps when installing a suspended ceiling. 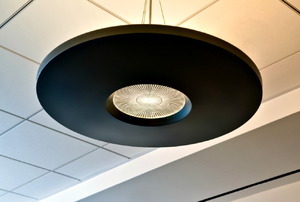 Follow these tips to freshen up the appearance of a suspended ceiling with paint. 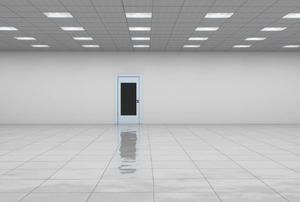 Follow these steps to soundproof any room with a suspended ceiling. 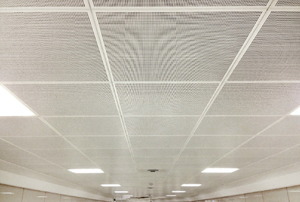 A suspended ceiling adds a number of qualities and benefits such as air circulation, aesthetics, and sound proofing. Follow these steps to renovate your drop ceiling tiles to update the look of your basement or kitchen. 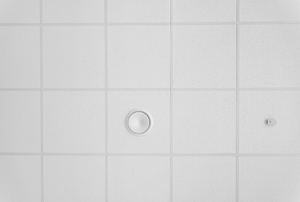 Can Drop Ceiling Tiles Support Recessed Lighting? 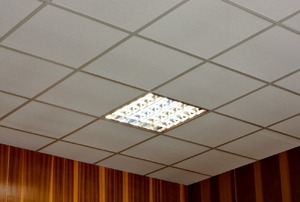 One of the most decorative looks for drop ceiling tiles is to use recessed lighting fixtures. Options are great, but too many can be confusing. Let this guide light your way. Yes, but you'll have to open me to find out which ones. A guide to the many styles. 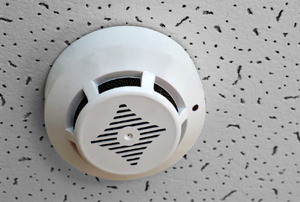 How Do I Install a Smoke Detector in a Suspended Ceiling? All you need is a drill. A fun, family art project and a DIY remodel all in one! Find the method that suits your project. Does drywall have to go past a drop ceiling? You can't just start putting up tiles. 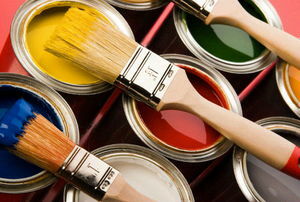 Take the stress out of your renovation. Don't overlook these important factors when planning your ceiling remodel. This is the last step before installing the grid-promise! 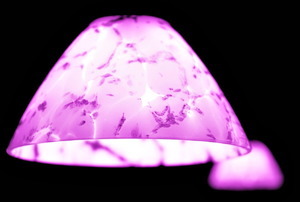 Here's a DIY project that changes the entire feel of a room. 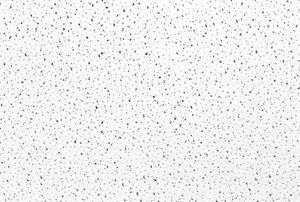 Can I Put a Drop Ceiling Directly Over a Popcorn Ceiling? A short and sweet answer. 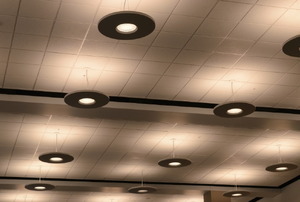 Another step toward your new suspended ceiling. These strings will show you where to install runners and cross tees.